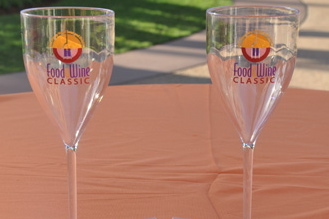 The Walt Disney World Swan and Dolphin Food & Wine Classic is back for a second year with food, drinks and seminars. The Second Annual Swan and Dolphin Food & Wine Classic will take place Friday, October 7, and Saturday, October 8, 2011 from 5:30 – 9:00 p.m. While strolling the Crescent Lake causeway, be immersed in this culinary festival. Sample culinary creations from the resort’s award winning restaurants and lounges. Enjoy food and wine while listening to live music. You'll also have an opportunity to meet celebrity chef, Todd English and other award winning chefs. Choose selections from over 30 stations that showcase food and drinks from the Walt Disney World Swan and Dolphin restaurants. Advance purchase event-only tickets are available for $65 for unlimited food and beverage samples on the causeway. Seminars are an additional $35 per person and require a causeway festival ticket required. Purchase tickets here. Don’t forget to sign up for a Beverage seminar offered each day from 4:30 - 5:30 p.m. These hour long seminars will be taught by experts. * Rates are per room, per night based on double occupancy. Package is good for two adults only and not available for individual guests.